The European trade fair for forestry and logging. The European trade fair for forestry and logging took place at Mimizan, right at the heart of the Landes Forest, a site with a proven record of performance. 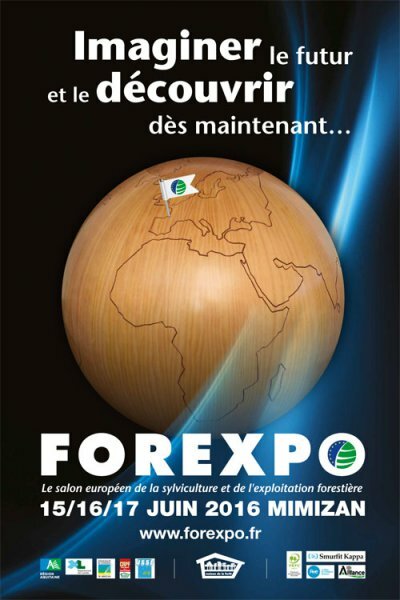 Forexpo 2016 had chosen to focus on innovation, the driving force for improvements in getting the most out of forestry and logging. CEETTAR Standing Committee on Forestry held a meeting during the exhibition on Wednesday 15 June with delegates from Belgium, Bulgaria, Denmark, Finland, France, Portugal, Spain and Sweden. A press release (in French) has been issued by FNEDT, which was coorganising the event. You can get more information on this meeting by contacting CEETTAR secretariat.